There’s heaps of good stuff here, so be sure you read all the way to the end to enter a giveaway for a $25 gift certificate or a fused glass necklace. 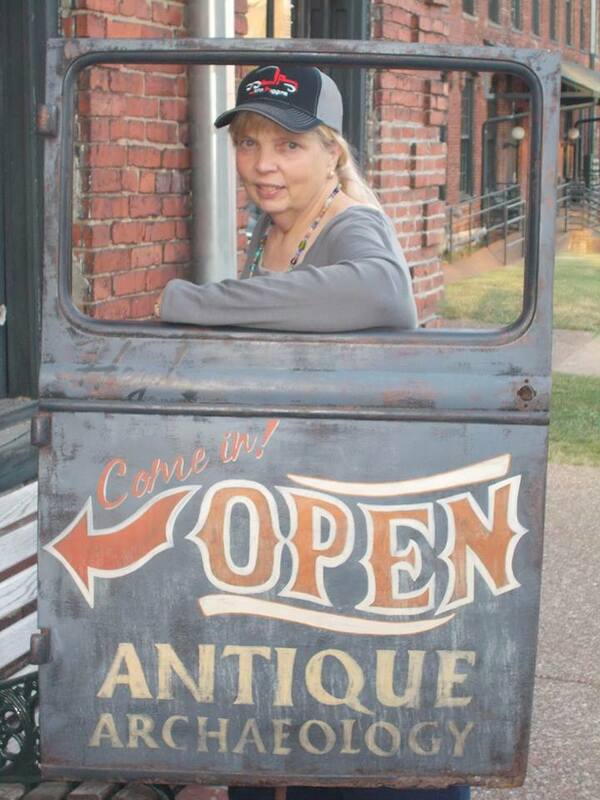 So, without further ado, here’s Five Questions with Jean Rabe!! ME: What was your favorite part of writing The Bone Shroud? JR: Creating a new set of characters. I love reading character-driven fiction, and so I try to write novels where the characters are key. I crafted Irem Madigan first. I wanted a main character who was on the young side, but who had a few years on her so she’d have some life experiences that would impact her choices. I used some of my own memories to flesh her out–not a fan of fancy food or hoity-toity restaurants, hates flying (I really dislike to fly), loves Lake Geneva, WI, enjoys old movies, reads good SF novels, was mugged in a Chicago subway (not one of my favorite recollections), and turns off her cell phone frequently. Levent, her brother, was wonderful to develop. I fondly remember trips to the Art Institute of Chicago and other art museums. I’d find a bench and stare at something abstract and often walk away flummoxed why such a thing was so valuable and on display. Picasso was another matter. Loved looking at all things Picasso. So I wanted an artist character with an abstract, adventurous, and romantic soul. “Back in the day” I studied art … and turned down an art scholarship to instead study journalism. I would have never been as good as Levent, nor would I have pursued portraiture and sculpting. I was interested in drawing for comic books. Probably a good thing I went after the journalism degree, eh? Sister Sophia: I have a pen pal who is a 92-year-old nun. We share a love of adventure and thriller novels, including the occasional racy book. I put a nun in The Bone Shroud as a nod to my friend Sister Mary. ME: What kind of research did you do for the Rome setting? Travel? JR: The research: lots of it. I love to research. I love digging through books and websites and calling experts to chat about places my characters are going. In the case of The Bone Shroud, it required historical delving, which was even more appealing to me. I took some virtual tours of the bone crypts beneath the city, read people’s vacation pages, and inundated an old friend with questions while he was in the middle of touring Rome. A writer is a sponge, and you soak up all this information before you start to write. I soaked up a lot on Italy. I was fortunate to have studied Egyptian symbolism from an Italian archaeologist. He let me know that I got “Rome right,” vetted and corrected my Italian, and gave me insights into underground digs. I coupled all of this with travelogues featuring Italy and Sicily, connecting with an Italian policeman, and emailing a wonderful woman who lives two blocks from the museum where some of my story is set. ME: What do you know now, that you didn’t know when you started The Bone Shroud? JR: A lot about Italy. I discovered that Rome has an incredible garbage problem that threatens their drinking water. It’s scary stuff. I also learned that it’s relatively safe to travel alone in the city—though pickpockets can be a problem, and I discovered that the McDonald’s restaurant chain has an interesting history in Italy. I dribbled some of those facts into the novel, but you never use everything…that would slog down the story. The McDonald’s across the street from the Pantheon is popular because it has restrooms. I also learned a lot about fountains throughout the country, Rome in particular. The story behind any given fountain is fascinating. So fascinating Irem has to stop at three fountains.The last fountain in the book has an elephant and is tied to mythology. An African elephant monument in Italy … interesting, eh? ME: Post-its, spiral notebooks, or spreadsheets for story notes, etc? JR: All of those. Mostly I use three by five cards. I buy the big color-coded pack of three by five cards. One color served for Irem scenes. Another for Benito.Another for my handsome Italian policeman.The fourth for the villain. As I watched travelogues and documentaries on Amazon, the History Channel, Discovery, and National Geographic, I would get ideas where I wanted to take the various characters. I’d even take the cards to roleplaying game sessions, and I’d scribble notes about plot points while my character was magically held or unconscious … or dead. I play a game where my character dies frequently. Later, sitting on my wonderful back porch so my dogs could romp in the yard, I ordered the cards and fleshed out the ideas. I’d not done an outline like that before. Usually I extensively outline a book, chapter by chapter, in a Word file, sitting at the computer. But I tried note cards for The Bone Shroud. And my current mystery, I’m using the color-coded note cards again … I think I found what really works best for me. ME: What makes a book a stand alone, rather than a series opener? Do you start off thinking one over the other? JR: That’s easy. A stand alone has everything in one nice package with a bow tied on top. The saga/adventure/quest is presented and wrapped up. You don’t have to wait for the next installment. No loose ends. I love stand alone books. I get frustrated with trilogies and the like. Funny, eh? I’ve written fantasy trilogies … four of them. And I’ve read trilogies. But they frustrate me because book one comes out this year, book two will come out next year, etc. You have to make a commitment of YEARS. Don’t get me started on Game of Thrones (which I’ve read so far), and I did not touch Wheel of Time, though I admired Robert Jordan’s writing. I love stand alones because they are a one-book commitment. There are sooooooooooooo many books I want to read… my to-be-read stacks are impressive. Stand alones let me tackle the stacks in any order, and I don’t have to drop everything to read the next installment of an x-part series when it comes out. I don’t have to remember where in the saga you were left hanging. Now, let’s talk series characters. This is different than an x-part series or a trilogy. These are a collection of stand alone novels that feature a main character and supporting characters. These are my favorite. They are like a comfortable pair of shoes. 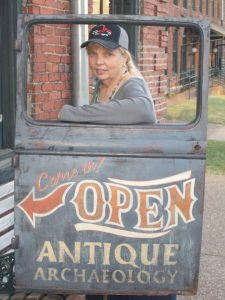 Jane Yellowrock, Harry Bosch, Elvis Cole, etc. I can pick up one of their novels and see what they’re up to. I don’t have to read them all; I can jump around and not miss big plot things. 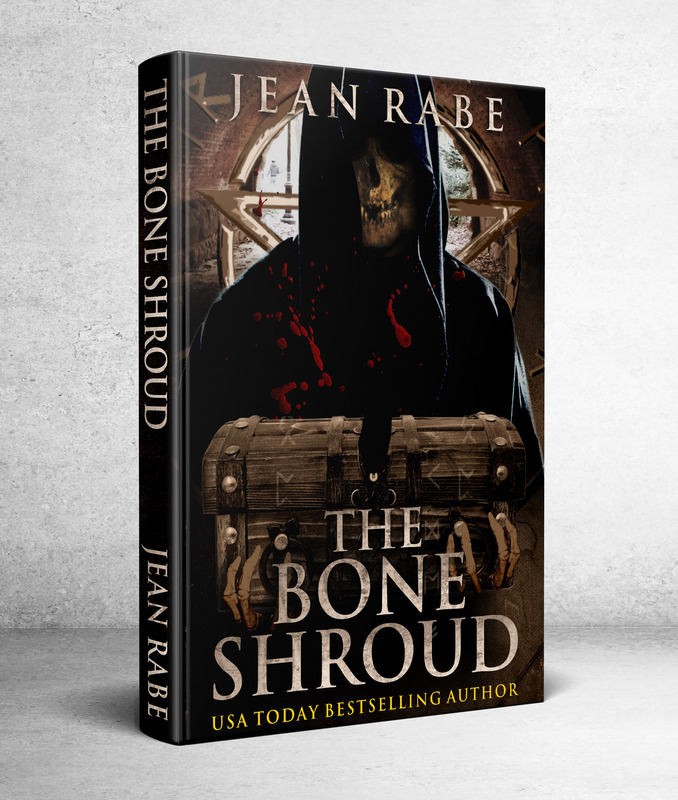 When I outlined The Bone Shroud, I intended it as a stand alone book, which it is. But I like Irem Madigan and her brother, Levent. If people like The Bone Shroud and I sell enough copies, I’d like to take Irem on another adventure. A stand alone, maybe to Poland, as there are some nifty historical things there I’d like to wrap into fiction. Anyway, that’s my take on the difference between stand alones and series/trilogies. There are blurred lines. I guess that’s my convoluted way of saying I like one-shot books with repeat characters. 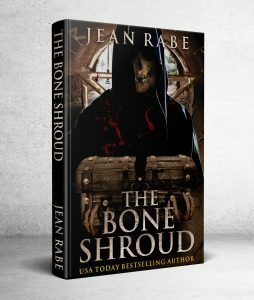 Jean Rabe is the author of three dozen novels and more than a hundred short stories. When she’s not writing or editing, she tosses tennis balls to her dogs, indulges in fantasy football leagues, and fuses glass jewelry in her basement. Click here for a chance to win a $25 gift certificate or a fused glass necklace.